Summary: Downtown Sapporo hotels can be expensive and sometimes leave you wondering why. But the Cross Hotel Sapporo delivers the type of amenities and attributes that make it one of our favorite hotels in Hokkaido`s urban centerpiece. If you`re looking for a hotel in Sapporo close to the main JR station but still far enough away to avoid the mayhem of Hokkaido`s busiest rail hub, the Cross Hotel Sapporo is a very good option. JR Sapporo Station and JR Sapporo Bus Terminal are only 5-minutes away by foot (along with private operator bus line stops nearby) making it very handy for early morning access or night skiing at Sapporo Teine and Sapporo Kokusai. 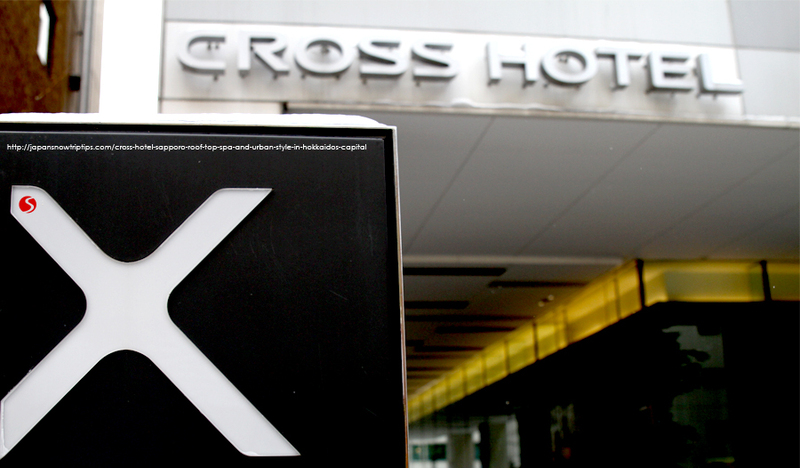 Rooms at the Cross hotel Sapporo are excellent for extended stays as they are large, clean and comfortable. 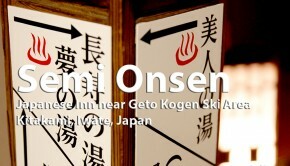 A roof-top spa is also exactly the type of feature weary skiers & boarders need to relax sore muscles after blower Japow days on Western Hokkaido ski slopes. 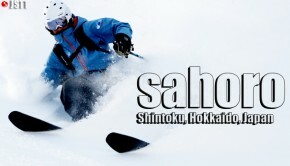 The Hotel Cross Sapporo is located wonderfully to access Western Hokkaido ski resorts from either JR Sapporo station or JR Sapporo Bus Terminal. But bus lines not included on the JR Pass — Sapporo Dai-ichi Kanko Bus and Jotetsu Bus — stop very close to the Cross Hotel (out the back door, then across the street on the corner in front of the Hotel New Otani) and provide early morning access to Sapporo Kokusai. The Kanko Bus often offers transport+lift ticket specials for less than ¥50,000 making it a pretty nice deal. Before you can rest your bones in the great roof-top spa at the Cross Hotel Sapporo, you gotta`get there. Rail connections from New Chitose Airport-CTS into Sapporo are quick and easy with your Japan Rail Pass. Hop the JR Rapid Airport Express train from New Chitose departing every 15 minutes and you`ll arrive at main Sapporo JR Station less than 40 minutes later. 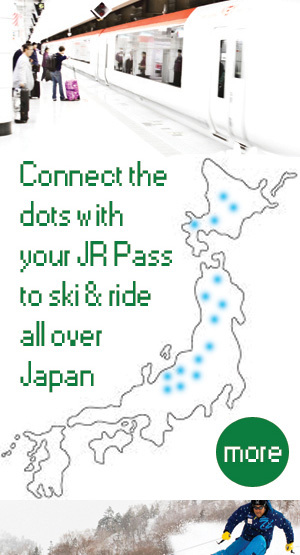 If you don`t have a JR Pass (but why wouldn`t you? ), Rapid Airport train fares are only around ¥1000. 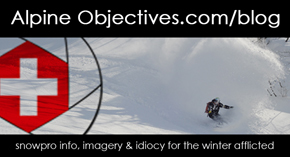 We`re not big endorsers of car rentals in Japan during the winter. Roadways, especially in Hokkaido, can be extremely dangerous due to ice, blizzard white-outs and lack of salt/sand for traction. But if you`re an experienced drive in Japan or at least comfortable on the right-hand side of the road (i.e. UK or Australia driving regulations), then you`ll be happy to know that a Nissan Rental Car office is located a few minutes walk from the Cross Hotel Sapporo toward JR Sapporo Station on the opposite side of the street. 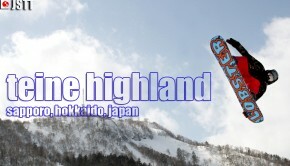 Hokkaido`s capital city holds a lot of opportunities for enjoyment off the ski slopes. The Susukino district, where you can partake in Hokkaido`s #1 nightlife neighborhood, is only 10-15 minutes away by foot from the Cross Hotel. You`ll also find a great, local`s favorite Sapporo izakaya, Isokin, on the upper floor of a high-rise in the heart of the Susukino neon that`ll help you start your night right with fresh seafood and top booze selection. Susukino is much more geared toward adult travelers at night (i.e. “red light” legacy), but a half-day trip to the Okurayama Ski Jump & Sapporo Winter Sports Museum is great fun for Sapporo visitors of all ages. Take a walk through the museum and enjoy the interactive exhibits before riding the double seat chairlift to the top of the ski jump for an epic overlook to view Sapporo`s skyline. Whiskey distillation has a history dating back nearly a century on Japan`s northern Island. All the great techniques that have gone into making Scottish single malts the world`s premier whiskey type were imported to the small seaside town of Yoichi, a short train ride from Otaru along the coast. A day-trip to the Nikka Whiskey Distillery will be a cultural excursion you`ll never forget…or barely remember depending on how many free whiskey samples you consume.